Good idea, great for my tool bottle. Handy size- I always carry them ...just make sure tube is dry and clean! Haven't had to use these and hope I never need to. But having them as a backup is a great plan when you are out in the bush. 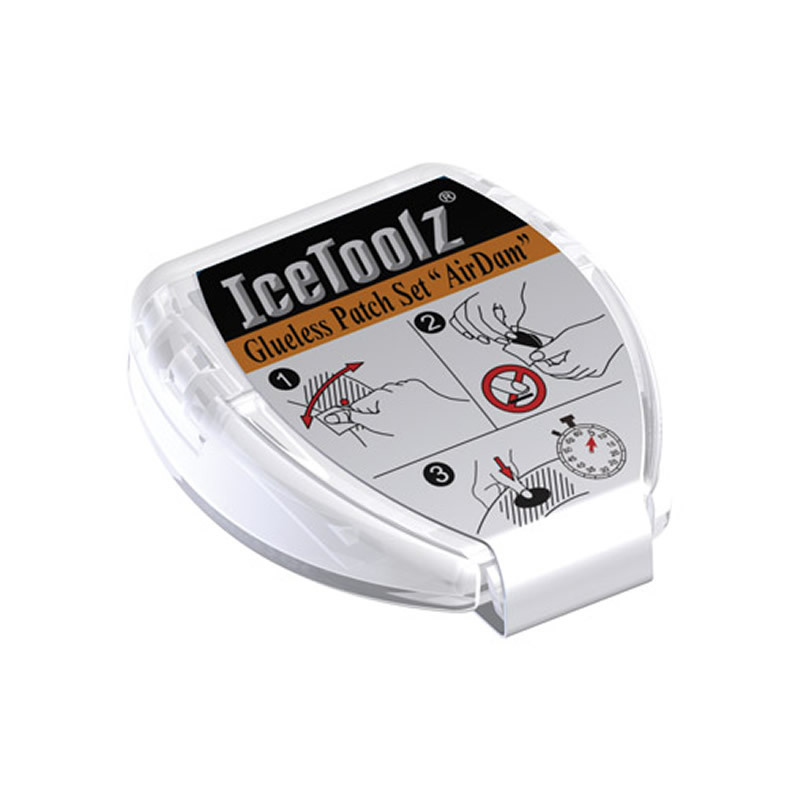 Arrived in good condition, very reliable patch tools... so that it wont burn your pocket each time puncture happen. Been using a few patch for more than 6 months ... all still working fine. Size is great for a small bag or even to pop in your pocket. Enough patches so as not to be caught short. Nice and sticky - sealed punctured tube no worries..
Light and small, so no excuse to not have one of these with you when you go out. Works well if used correctly. Kit is tiny and compact, small enough to wear in the back of my jersey. First time I have used Glueless patches, worked a treat	. These work a treat, would like to buy them in a 50 pack. This patches are very easy to use. It is very cheap and very good. Super little kit for emergencies, just does what it says on the tin, buy one !! They work, and the packaging is small. I am sure thet come very handy when needed, Hope not so soon but :) ,, very small, easy to carry when cycling, and quick to use when needed.